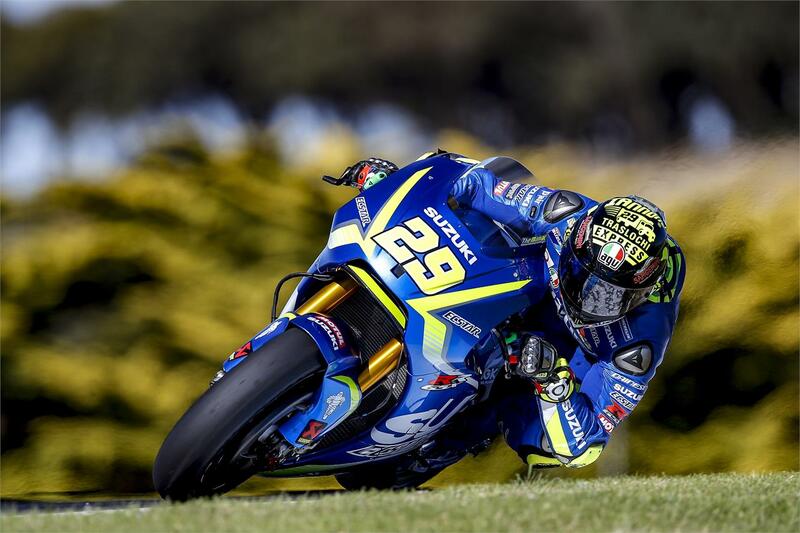 A hot day kicked off the second session of 2017 MotoGP™ with Team SUZUKI ECSTAR riders Andrea Iannone and Alex Rins busy on the Phillip Island circuit in Australia. The classification at the end of day one sees Iannone in third place and Rins in 19th, after an intense day of work. Iannone’s program continued from where he had left the bike in Malaysia, with the aim to double check the new specs introduced to the GSX-RR and verify the effectiveness of the direction that the engineers had taken. Also, it was a chance for him to check the capability of the adaptation of the machine and set-up on a brand new circuit. The day went on with different setting tests, as well as different configurations of the electronics, proceeding step-by-step as usual for Team SUZUKI ECSTAR. Despite the first part of the day seeing Iannone struggling with the feel of the bike, the modifications introduced in the second part of the afternoon proved to be effective and he posted the positive time of 1:29.926, pushing him into third place, +0.429s from the leader.